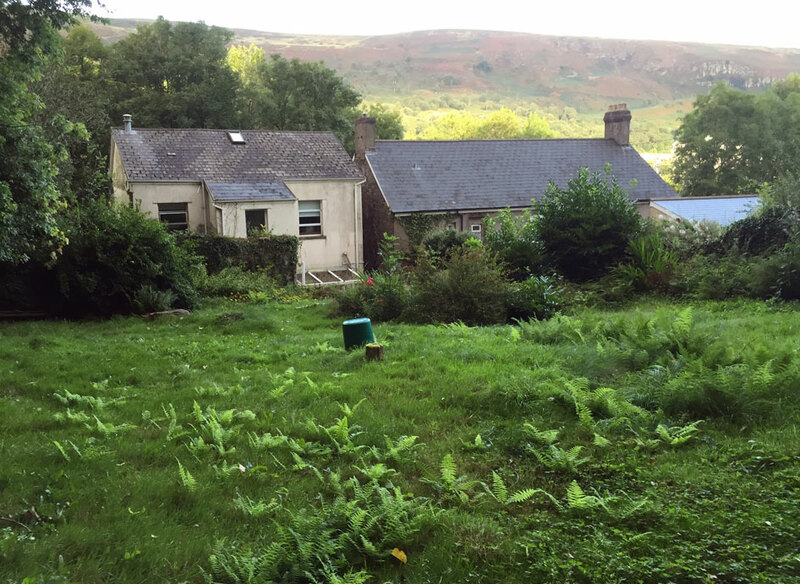 Our client wanted to convert their family home and rear field into a practical yet beautiful place for visitors to the South Wales valleys to freshen up and rest under the stars after a hard day biking or climbing. 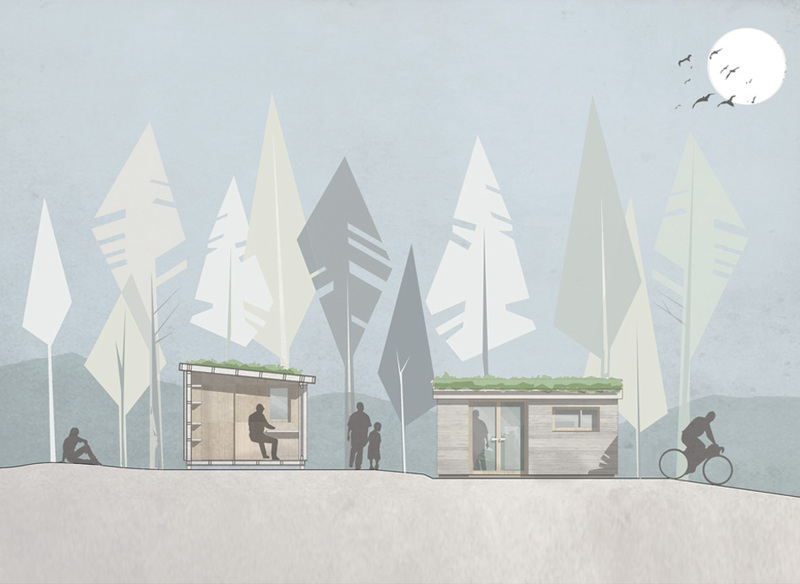 Inspired by the semi-rural site on the edge of Merthyr Tydfil, the design proposes nine timber clad, green roofed “Eco-cabins” and wash block arranged around a gently meandering path through the existing trees. 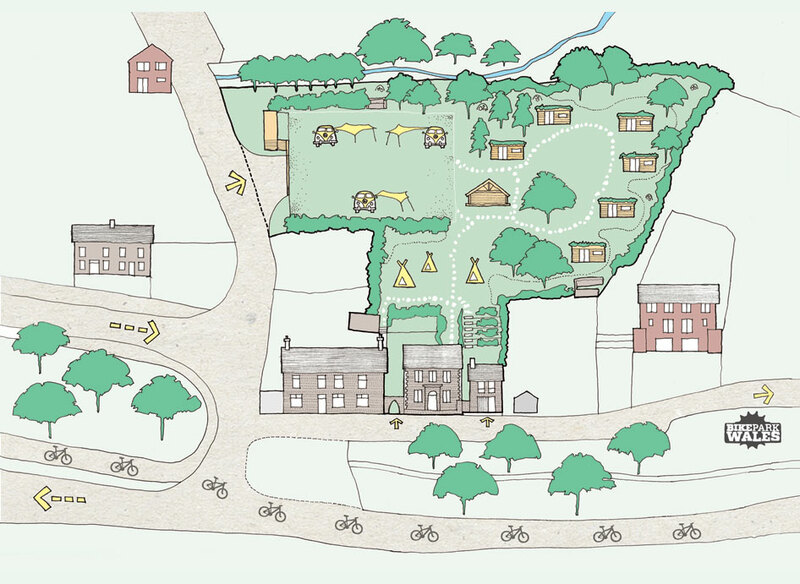 Cabins have been developed in collaboration with a local carpentry firm to create highly insulated, flexible and intimate places to stay with bespoke internal storage for bicycles. The main house and outbuildings are to be extended and refurbished sensitively to create B&B style rooms and a self-contained bunkhouse respectively. 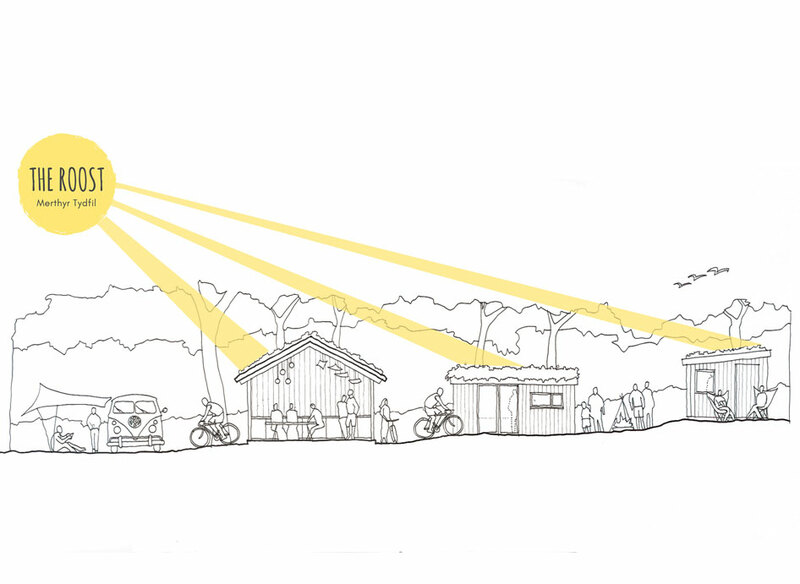 Renewable forms of energy, rainwater recycling together with locally sourced materials and labour will help create a destination that is both ecologically and socially sustainable.